One night last week I was on my own for dinner. I wanted some comfort food but didn’t want to overdo it. 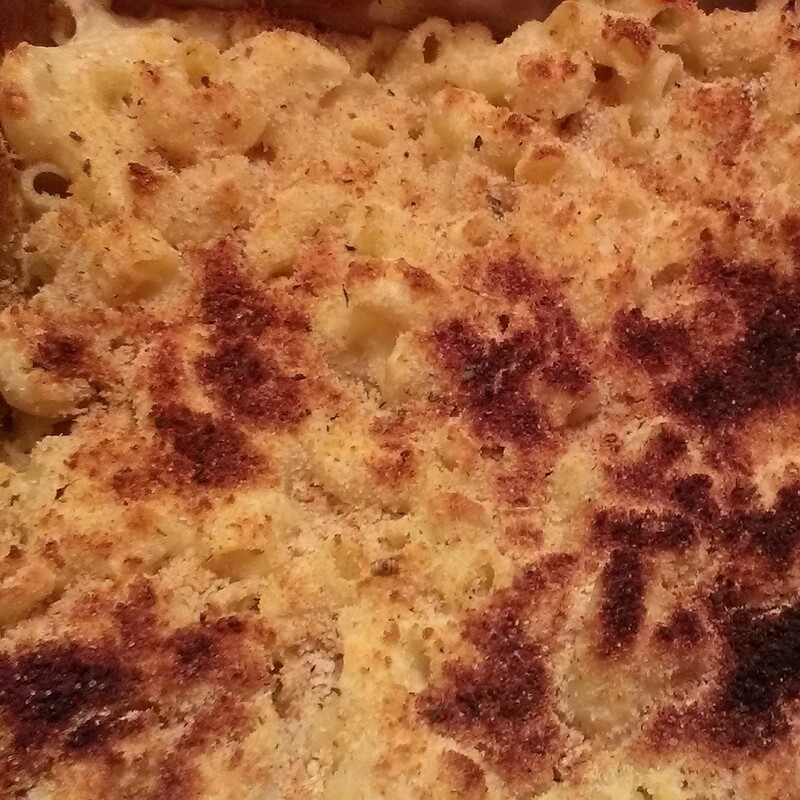 I tweaked my favorite baked mac and cheese recipe and came up with the lighter, but still delicious result below. I hope you enjoy it!! Summary: White beans help thicken the sauce without adding tons of butter. Grease an 8″ x 8″ baking pan with cooking spray. Cook the macaroni according to package directions. Drain when ready. Meanwhile, in a medium saucepan, melt the butter over medium heat. Mix in the onion powder and garlic powder. Using a whisk, add the flour, stirring constantly for one minute, until slightly browned. Whisk in the pureed beans, then slowly whisk in the milk, continuing to stir until the sauce begins to boil. Reduce heat to low and simmer until the sauce has thickened, about three minutes. Stir in the cheese, mustard and hot sauce and remove from heat. Pour the cooked macaroni into the prepared baking dish. Pour in the cheese sauce and toss with a large spoon until well blended. Sprinkle the breadcrumbs over the top of the mixture, then spritz with cooking spray. Bake for 20 minutes, or until the cheese is bubbly and topping is browned.